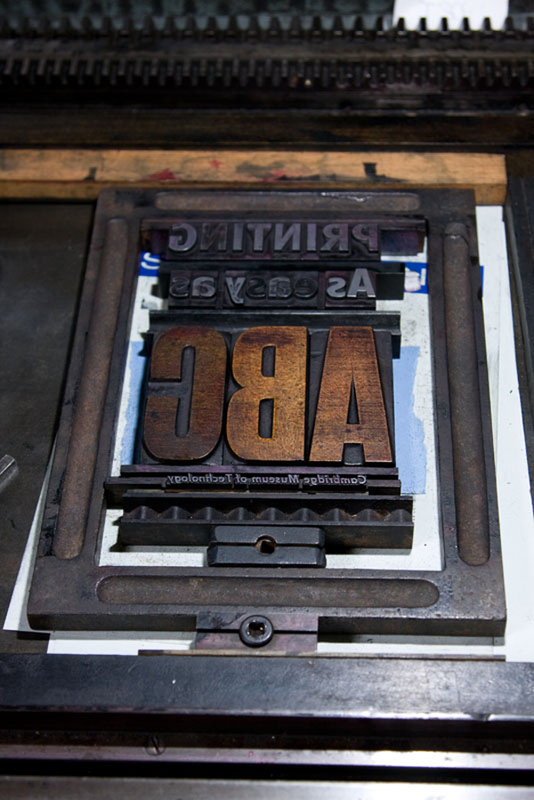 For all you letterpress junkies out there. Just had some fab pics in from Cambridge Museum of Technology showing their printing presses and print room. Very much looking forward to Jackie Chettur‘s open event at the museum in October as part of A:L:L – more photos and details of Jackie’s event here. With thanks to Pam from Cambridge Museum of Technology.